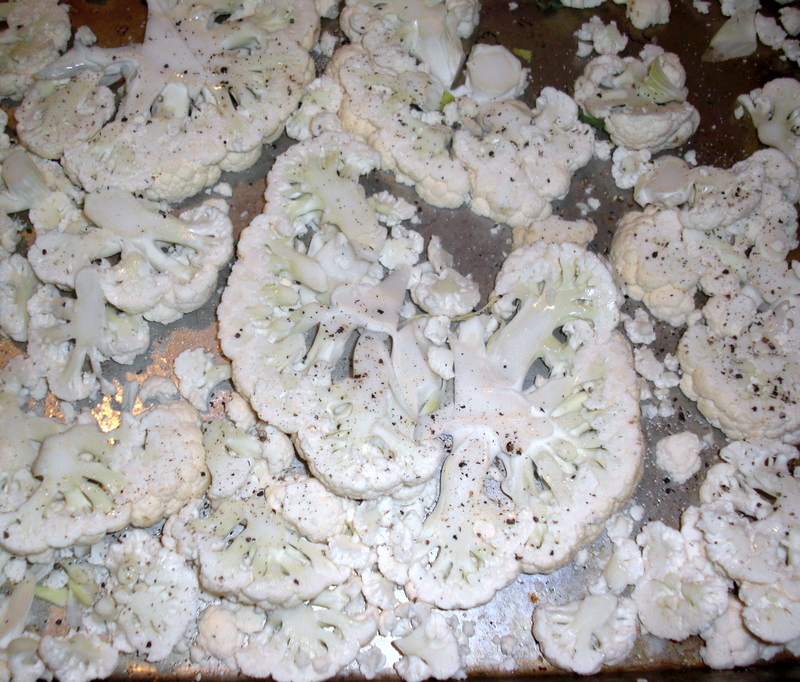 Thinly slice one head of cauliflower and place on an oiled cookie sheet. Brush to slices with olive oil. 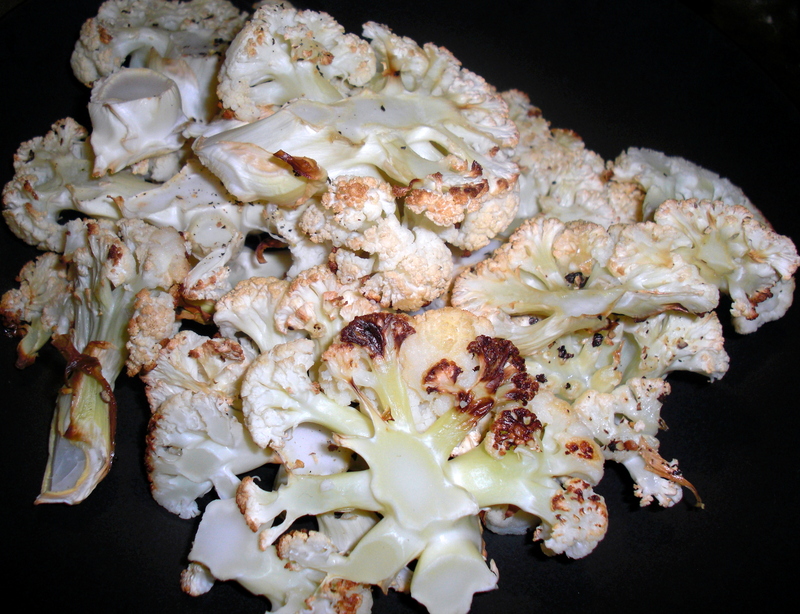 Roast in a 400 degree oven for 20 minutes, or until the cauliflower becomes slightly browned and crispy on the edges. Salt, and sprinkle herbs (such as herbs de provence) over the slices. Enjoy! This is pretty delicious – I ended up making this last night. Though, I only had frozen cauliflower, so I microwaved it for a minute or so first to get it thawed enough to slice thinner. I’m glad you liked it! Definitely try it with a fresh seasonal variety of cauliflower – the difference will blow you away! And keep an eye out this week for more winter vegetable recipes. Previous Previous post: Homemade Applesauce – it’s not too late! Next Next post: Village Whiskey. Did you say Whiskey?